Trumpet player and bandleader, one of the UK's original Dixieland players and inspiration to Kenny Ball. Alan, people talk about Ken Colyer as being one of the first to play what you would call Trad Jazz but it seems to me that you were playing Dixieland and what went on to be called Trad before then? Were there any bands around before you playing Dixieland? Do you differentiate between Dixieland and Trad by the way? Well, I would have done at the time but not now. The band before was Freddie Randall. Freddie Randall was the originator was he? Yes. I don't think there was anyone before him, and once we started we first heard of the George Webb Dixielanders. They were from….I think they were from south of the Thames. We soon played a concert with them. You as a trumpet player: firstly how did you discover this music and secondly how did you discover kindred spirits in those early days? Everybody in the next few streets from me were interested in music in some way or other and we liked Jazz, Louis Armstrong and later people like Bobby Hackett and Bix Biederbecke, that sort of Jazz. At the time Swing was all the rage and we didn’t want to know about Swing. But then again we had to admire people like Harry James of course, obviously, but you know we were dedicated and I am still today. Yes. I guess Be-Bop was around at the time as well – would that have been like the anti-christ? We didn't really like that. What part of Essex were you living in at that point? You were born in High Wycombe? And you moved here when you were 18 months old? So to all intents and purposes you are an Essex boy really in that sense? But your background as a trumpet player before you discovered Dixieland: You took it up from an early age? I was 17 and people in the next street, one who played the piano rather well and another one played the drums and I thought I'd buy something, so I just went in and bought a trumpet! And I played my first gig playing with trumpet and being paid for it within 6 months. Did you? Incredible! Was that playing the music of the time as far as popular music? Yes, we were playing this sort of Jazz. The war had just finished and the camps were open and we were getting a lot of gigs, at the RAF camps and places like that. So, well it was sort of a £1 each. That was the money! That probably seemed a lot of money then. Well it wasn’t bad, no. Do you remember what musicians were in your first line up? Well yes, in those days I was playing with several bands at once. Washington Lee was a swing tune and we called ourselves the Washington Lee Swing Band – and that was myself, Rags Russell on trombone, Geoff Kenworthy on drums, we didn’t have a pianist, we had lots of guitar players. Ted Leighton on clarinet. He lived in the next road to me and he formed his own band years later. Were they mainly from Essex, the other musicians? All of them. All these people lived in the next few streets from where I lived. So there’s the Washington Lee Swing Band and this was in, what 1944 are we talking here, or earlier? Yes that’s about it. Of course, November 1944. Wow, that’s incredible. So what you've got the Washington Lee Swing Band and you were in other bands at the time did you say? Well, there was another chap in Essex called Stan Foster and I did some with him – he became Alma Cogan’s pianist and I saw him on television, you wouldn’t recognise him, he was a little thin guy and now he’s a big guy. I thought that can't be the same person. Was that Dixieland as well? Yes, we were all fans. I remember doing a gig with him at Ilford Fire Station. 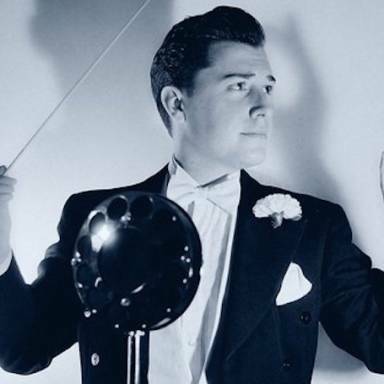 I also did a gig with the drummer Ken Sumner in '44 prior to the Washington Lee Swing Band. 44? So, that's interesting. Was Ken Sumner from Essex? Yes, he lived – well I lived in Cantley Gardens. He was up that way a bit, he lived in the Gants Hill area. It was in Downsell’s School in June, 1944. I only bought the trumpet in 1944! That would just have been a sort of a band, I can't really call that Dixieland. I wouldn't be playing The Jazz Band Ball for instance, we’d be playing Honeysuckle Rose and all that. Washington Lee, now that was a Dixieland band, it starts there. There was Jim Riddick. I played one or two gigs with him. He was a drummer from Gants Hill. He was not a very good drummer but it was his gig but he wasn’t a drummer that we would have picked for one of our bands. He used to follow us around. He was a fan. He had a huge record collection. The one-man impressario, Jim Smithson. He was a pianist. We played jazz tunes, we wouldn't know anything else. What else could they be? Now and again they might be a dance band which was slightly different but not many, I wouldn't have known those people. There’s a band I sat in called the Jive Bombers, they were fairly well known. 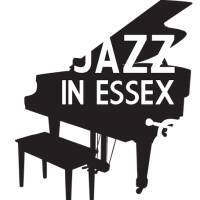 What venues were around in Essex at that period for Jazz? Do you remember? There weren't many. We went and played in this pub for nothing just as a try-out, we took our instruments and started playing and after that they booked us, but the band I played with was the Dill Jones trio and that’s the band that Kenny Ball sat in with when I was there. I can even remember the tune he played, you wouldn't believe it was a Jazz band, he played You Made Me Love You. The Green Gate public house. That’s in Ley Street in Ilford. Yes, the Green Gate. It’s a McDonalds’s now I notice, unfortunately! And Kenny Ball was 16 years old wasn't he when he sat in with you. You couldn't have been much older, you must have been 18 or something like that? Yes, let me see, ’44. Yes, a little bit older. Did Kenny Ball strike you as any good? Yes, I mean he could play. He was new to it, and you know he spoke to me, I was going to somebody called Phil Parker at the time learning to play on a board and all that sort of thing. It never worked for me actually but he was asking me about that. He was a man who shows you how to play C's above top C's with a trumpet on a piece of string. It worked but it was not for a Jazz player, it was too technical. It was people who want to play like Maynard Ferguson I suppose. Because it's funny that Kenny Ball recalls it as being at St Margaret's Hall in Ilford. Do you remember that venue? I couldn't remember, but if he said that it must have been. Perhaps he’d forgotten this? I might have been sitting in myself actually because of the trio, I'm not in a trio, but Dill Jones is a great pianist and a friend of mine, he used to come and play our piano because he hadn't got one were he lived. He used to come to my house to play the piano. He was a wonderful pianist. He went to America. So what other bands were you involved in? You said you had a band called the Wickham-Russell Hot Six? Washington Lee Swing was our little group. We used to go to Leytonstone, we met up with Kenny Warbank and he was a pianist, a go-getter, and he formed this band and we did this Jazz concert for a bloke called Ken Lynsey and we did rather well. And so we were with him for a year or so. When he got called up we then became the Wickham-Russell Hot Six. We did two concerts where we did very well but I don't think we did more than half a dozen jobs all told and yet if I speak to anybody today I say “Wickham-Russell Hot Six” they say “Yes”. They don't remember any of these other bands. I suppose it came to peoples attention and using the name Hot Six it's easy to remember isn't it. So you only did half a dozen gigs as the Wickham - Russell Hot Six? More when it was Ken Warbank of course, it was not worth recording just gigs and things. Yes, that's right. So that was around about ’46 wasn’t it. When did Ken Colyer come to the fore? Well certainly not so long after. Ok, it's funny isn't it that they say about him as being the kind of innovator and yet you were around before then, and your friends. It’s quite incredible isn’t it? I think our little band was before George Webb but at least he became famous first. So yours was probably the first then? I mean we were ’44, we met up with them at a jazz concert in ’46, well I suppose they were doing there stuff the same as we were on the other side of London, but we’d never heard of them. We had no other band to think about. The bands in those days: we had Sid Phillips, which was sort of a commercial but it was a sort of a jazzy band. Sid Phillips and his band, yes, you had Victor Sylvester’s Jive Orchestra, that’s what was on my wireless. No we’d go all over the place to get 78 records, I used to be after all the Muggsy Spanier records. You could and you could travel all over London just to get one bloomin’ record! They weren't easy to get hold of. It was a big deal. That’s right because I'm sure a lot of, they would have been imports I suppose, they must have been quite hard to find. I suppose the only place you might have found them would have been at American bases. If you searched around you could find them here and there, but it was a sort of triumph. I mean nowadays you can get all these sort of things for nothing can’t you? These people on these machines. We couldn't do that. You could get all the latest, but we wanted a sort of old-fashioned jazz. You could buy all the Count Basie records, you know. Incredible. I heard it was quite a struggle to get those records in those days. Because they’re so specialist they wouldn’t have been imported in great numbers would they? No. I mean gradually you would get them but it wasn't easy, they wouldn’t have them in our local shop. So where did you go from there? What was the next step? I suppose it was Beryl Bryden's Backroom Boys. Originally I first met her when she was singing with the George Webb Dixielanders. She really was one of the originals then. At that point was it common to gig out of the area? Were you aware of anything else happening around the country at that point or were you just concentrating in your own area? Well, mainly the London area but we got a lot of jobs inside, in Greater London. I joined Joe Daniels and started going over the country. It was a different thing entirely. One night stands. I was semi-professional this time and when I joined him I became professional. That was in 1951. So after that…there’s other bands I played with, Roy Vaughan – 'Jazz at the Oval'. That was 1950. The time you're talking about, 1950, the whole Trad thing would have been really big by then wouldn’t it? Do you remember many venues around this particular area (Essex) that you would have come down to or would you have been more London? There was one I joined just before I joined Joe Daniels. I did a job at Southend Rhythm Club for Paul Simpson and it was just before we joined Joe Daniels. And of course we played the Royal Festival Hall. What was that? Was that a Jazz festival? Yes, a Jazz festival. I was featured on a solo, and of course in the box was Princess Elizabeth, who’s now the Queen. She won't remember it I suppose (laughs)! So within six years of you starting to play, the next thing you know you're playing at the Royal Albert Hall! Were any of those from Essex at all do you know? Well, Freddie Randall of course. I don't know where Crane River were from. I don't think so, no. Ken Colyer was in the Crane River. You know Lonnie Donegan was from Essex. He was East Ham wasn’t he. **Note – Since this interview, I have found out that Donegan only lived in Essex for two years when he was a child. So, no Essex connection. Oh yes. He used to come and sit in. I played at Wood Green Jazz club at the Fishmongers Arms and he would play in the intervals as a solo thing. We never took any notice of him. You know, it's true we didn't! What band was that you were playing with at Wood Green? It was just before I joined Joe Daniels so it was mainly pick-up groups, someone would phone up and it was a weekly jazz club on a Sunday run by a bloke called Art Saunders and it went on for years. Did it used to get busy? I didn't go every Sunday but I did it every now and again, and even when I joined Joe Daniels I still used to go out and do that on Sundays if I was free. 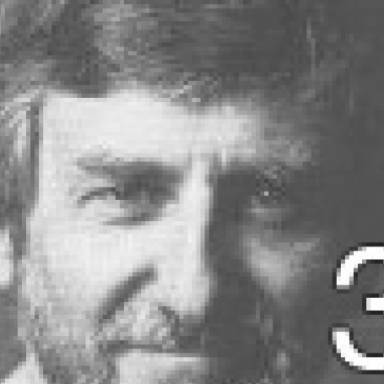 Was Lonnie Donegan a resident there then, to do the intervals? Yes, I think he just used to come along. He wasn't with any band then you see, later on he joined Chris Barber and became famous. When we went to the bar he used to go on and play his thing. And that went on for years did it? Had you been doing any kind of recording? I don't think I did anything of worth before then. We did many, many sides on Parlophone with Joe Daniels at Abbey Road Studios. I've got a whole list of them somewhere. That must have been exciting, recording at Abbey Road in those days. The top recording studio in the country. Yes, it was. A long time before The Beatles ever got there! There were a lot of top bands there and Joe Daniels when we recorded he didn't take the band that went on tour, he had people like Don Lusher but he used to keep me because I was his favourite. I was his favourite! Who did we have? We had some of the top people of the day on those sessions. I can't remember all their names but we started off doing two sides a time, then it was four. I wonder how many sessions we did? I think I did between 30-40 different sides on Parlophone Blue label. 1951 until I finished with him, ‘57/’58. Seven years. Yes, that’s incredible. And you were travelling all over the world weren't you? No, we did this American tour of American camps which was Germany, Turkey, Africa – when I caught Typhus. I didn't finish the tour. I ended up in hospital. When I came back I weighed 6 stone! Why did you leave Joe Daniels in the end? Well actually it was because he sort of jacked it in for a while. He stopped his band and I went with Laurie Gold and his Pieces of Eight, he was the brother of Harry Gold, quite a famous band. Then Joe came back and I did another year with him with his big Dixie band. And then after that I became a semi-pro again. And were you back in Essex now? In 1960, no, I'm still not back in Essex. I came back in 1971. From when I got married, from 1949 – 1961 I was living over the other side of London. I came back in 1971 to Snaresbrook and from then on I found I was working almost as much as when I was professional because there was a band I went with later – Dr. Crock and his Crackpots, who had a Dixieland contingent in the middle of his band. I would leave the office at 5 o’clock and I would be playing in Manchester at 9 o’clock. Wow, that’s incredible. Where were they from? He was West London. He was a wonderful man. It was a comedy band. So, Johnny Dankworth obviously was from Essex as we know, did you ever encounter him at all? Well, one time. This fellow I told you about, the pianist, Dill Jones, he worked in a bank and when he came to London he got this gig in Lloyds, I think it was Lloyds Bank in Threadneedle Street, and he booked Humphrey Lyttelton and Johnny Dankworth and he got me to come and sit in with them; he was a friend of mine you see. Unfortunately I could only last one number: I was having lessons with Phil Parker and playing the board and once I was with them it wasn’t right, so Dill Jones said to Humphrey Lyttelton, “Alan’s had trouble with his lip. He won’t come on again”, but I did the first bit. What year was that then? End of ’53 or ’54 that would have been. So that’s incredible to say that you played with Johnny Dankworth at his height really, because he was enormous then wasn't he. When I first used to go to see him he was playing with Freddy Randall, that type of job, at the start, and he used to play a metal clarinet if I remember. What, Dankworth was actually with Freddy Randall? Yeah he worked for him for a time. When Johnny Dankworth was briefly playing with Freddy Randall what years are we talking about there? I reckon it would be ’45 or ’46. And I tell you what the place would have been, Cook’s Ferry Inn. With the Freddy Randall band, and then I tell you what, after him he was replaced by a bloke called Bruce Turner who is very well known, a very good player. But when I first went there it was him and a trumpet player called Dennis Croker; a big fat chap. He’s Essex. I wonder if he’s still alive? He was when I moved here. There’s another bloke in Hornchurch, Geoff Sowden. He was in the Freddy Randall band later on but he formed his own band and I worked with him. It seemed like it was very active in Essex in those days didn't it? Tons of players. I'm interested to know what you were doing from the 60’s through to ’71 because obviously The Beatles came out and Digby was telling me that by about ’64 it had really squashed Trad and Dixieland and it was quite hard to find work. ’64 is when I think I was with different bands all the time but I had plenty of jobs, but not for set bands. You know, one here, one here, one there. ’68 I went with Monty Sunshine Band. I was semi-professional but they were a professional band. I was with them all the time except when they went abroad and of course they put someone else in my place. I couldn't go to Germany or anything but I could do all the gigs. Monty Sunshine was huge wasn't he? Probably one of the biggest you're going to get really. So you came back to do Essex in ’71. Whereabouts where you based? In Snaresbrook. What happened then…1971…well it didn't really make much difference because my turning was by the tube station so I was going up to London on the tube. I had a season ticket as well because of my day job and so I did lots of work all round the London area. It didn't make any difference to me moving to Essex. The same thing was happening where I lived before in West London. I carried on doing all the same jobs just living in Essex. So you weren't really involved in any kind of an Essex scene at that point, that just happened to be where you lived? ’71, it wouldn’t have been until late that I moved. I think it was September. At that time I was in a band called Russell Wickham, not Wickham Russell; this was Ron Russell the bass player. He’s still around now, and he formed a band and I did a lot of work with him. It didn't make a lot of difference where I lived. So you were too busy travelling around I guess to actually get involved locally. One thing is you weren’t involved in any scene in Essex as such. You would probably just do the odd gig in the area? Well there were quite a few. There was a pub in Epping that we did fairly regularly. It hadn't started then. Everyone played there as well, I mean Digby and everybody. Can't remember the name of it now, it must be later on. No, nothing I can think of. There were one or two jobs but it was probably later on than that. You don't recall any particular regular venues in Essex that were going then? The Prince of Wales? Yes, Prince of Wales. Just before you get to Loughton. Buckhurst Hill isn't it? That run for years and years. That was a Sunday morning thing. There’s another band that was Harlow based, I did a few jobs with him, John Petters. Yes, he was a drummer. Band leader. This was all Dixieland was it? Oh yes, all these bands were. That wasn’t so long ago – ’94. You have played with Kenny Ball occasionally have you since those early, early days? Well that was a special thing, because he booked me as a guest star and he put Kenny Baker in as well, you know, so that’s all three of us, but really it was um…for some reason he’d have me above a lot of people. Jack Parnell, and all that, they'd all be at the bar but when I was on playing my solo Kenny Baker was in the wings and as the curtain went up he said “Take another one, take another one…oh it's too late now”, but he was there listening to me and that was quite a compliment. Was that at that concert? Yes I’ll tell you what this concert was: it was Kenny Ball at the Southend Cliffs Pavilion. And then later on, since I've lived here, he was on again but this time it was Ball, Barker and Bilk. I went, and took my neighbour and he sent me free seats, you see, to go and watch it. And when he came on Kenny Ball says “We’ve got a good trumpet player in the audience” and got me up to take a bow. So, there's a bloody woman in the post office here who’s never spoke to me in all the years we’ve been here and she was there and she said “Oh I saw you last night”. First time she'd ever spoken to me, except to hand over the money! So did you stay in contact with Kenny Ball all those years? I'm sure he meant it! One or two times he came across and – oh, there was a big benefit at Southend Hospital. He was there but he didn't sit in. It was one of the Temperance Seven guys and people would ask him for requests. And it was for a machine, for a heart machine we were raising money for, and you had to pay money. And he says “Look. will you do Can’t Get Started? The bloke round there is paying £7.50 for it to be played”. So we got £7.50! That’s got to be about six or seven years ago. It was Johnny Rowden, the trumpet player, that had died, and it was in his memory. He was someone I used to play with in the early days. What would you say the highlight of your career has been? Obviously there have been many highlights but it's been a very, very long career. I don’t know really. One night not so long ago when I played at the 100 Club. Listen, I don't play the same thing twice ever and if the acoustics are good I can be a very good player and when they’re not so good I'm not quite the same, and I'd been playing in this pub in London and it didn’t particularly pay all that well and as I came back I passed by and there was this big thing going on. I went in and there was this…all these different bands and a young trumpet player. He was playing so well I thought “Oh” and I sat down at the table and Charlie Calvert was there, the trombone player, big guy you know, he says “Go and sit in. I said “I'm not going in”. So finally I sat in and there’s this trumpet player who I've never seen before, there was another guy I do know and three other Trumpet players and we’re all taking solos and when it came to my turn I blew them all off the stage. And it's a thing that's, you know, sometimes you can go for a top F and you don’t, it all sort of came out and Charlie says, “That trumpet player you were talking about, his jaw dropped open!” (ha ha) The thing about it was, Charlie Calbraith's daughter was very good looking and had married an American, and this American sort of looked upon his Dad as though he was a bit of an old fogey, you know playing all this Dixieland, and he happened to be there. He was so surprised because he knew I was in Charlie Galbraiths’s band and came up to me and he said, “You played like Maynard Ferguson”. He’s shaking my hand. I didn't play like that at all but it just all came out, so that was something, I thought. A lot of people said afterwards that I play these things that I've never quite reached like that again…never quite the same. It went ever so well, I thought I played better then, at that age, than when I was younger, but the funny thing is, someone like Louis Armstrong who was marvellous when he was young, when he finished and he was only 70 he wasn't the same player at all. But when I packed it in I think I could play better than I played before. I played at the 100 Club many times over the years. I was there when it was called the Feldman Swing Club, ran by Bert Wilcox. So when did you actually retire then? Well, we moved here in 1999. When I came here there were not that many jobs and it's not worth it trying to play two or three times a week, but I carried on practising at home. I don't need the money any more. I can still play, it would only take about 3 months to get it back but it's not worth it. So about ’99 were you retired. Yeah, well I just, I had enough of it really. All the travelling about is tiring isn't it. No, I loved travelling. I never dreamt I would stop playing, but in the end I thought it’s so to not keep practising and to have good nights and bad nights. I had the Trumpet out in the dining room. I can always pick it up and play it. That went on for a couple of years and then I just didn't bother any more.